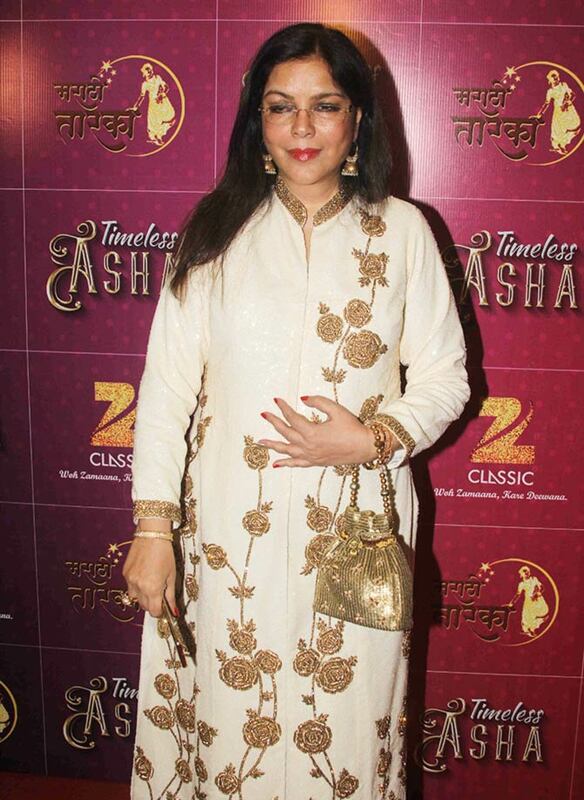 Rediff.com » Movies » PIX: Tabu, Jaya Prada, Zeenat Aman cheer Asha Bhosle! 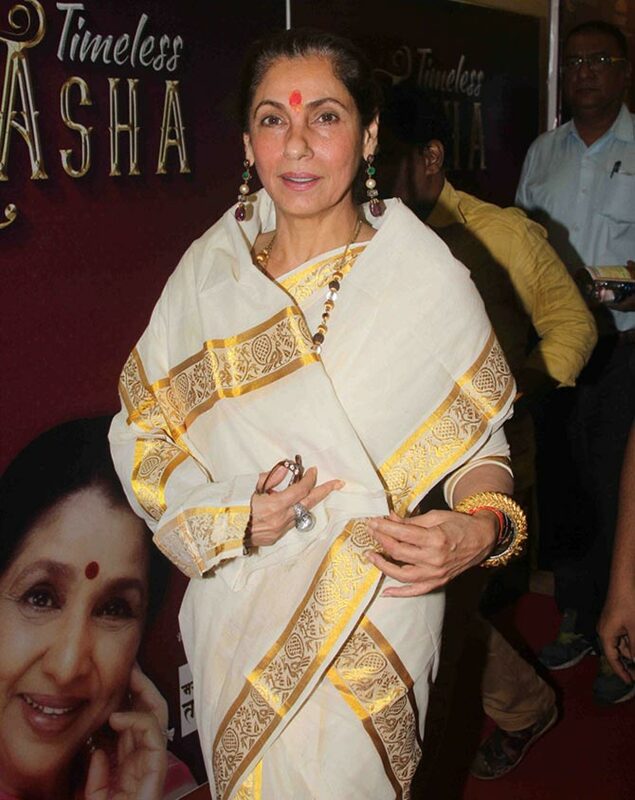 PIX: Tabu, Jaya Prada, Zeenat Aman cheer Asha Bhosle! 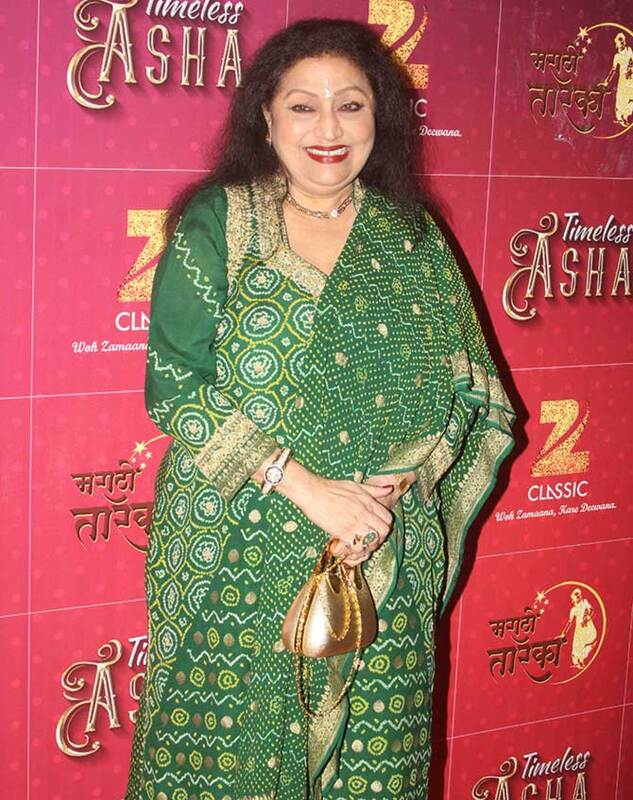 Asha Bhosle was felicitated on her 83rd birthday at the Zee Classic Timeless Asha concert. The Living Legend, who has been singing for the last 72 years, recently drew curtains on her fantastic live performances. 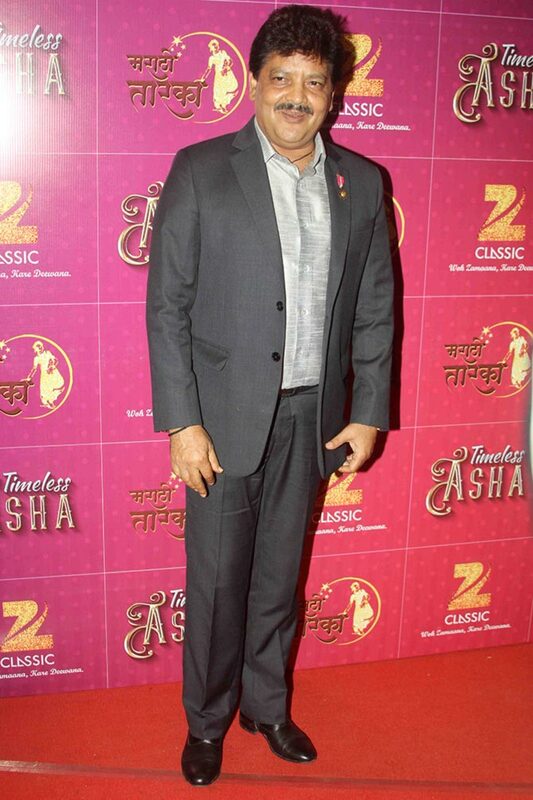 Here's taking a look at the film folk who attended the event to cheer Asha. Asha has lent her voice to Tabu in some beautiful songs in Meenaxi: The Tale of 3 Cities and Filhaal. Asha Bhosle made Chura Liya Hai Tumne (from Yaadon Ki Baaraat) one of Zeenat Aman's most popular songs. The iconic number Piya Tu Ab To Aaja from Caravan that was picturised on Helen was sung by Asha. Bindu's famous cabaret song from Kati Patang -- called Mera Naam Hai Shabnam -- is one of Asha's evergreen hits. 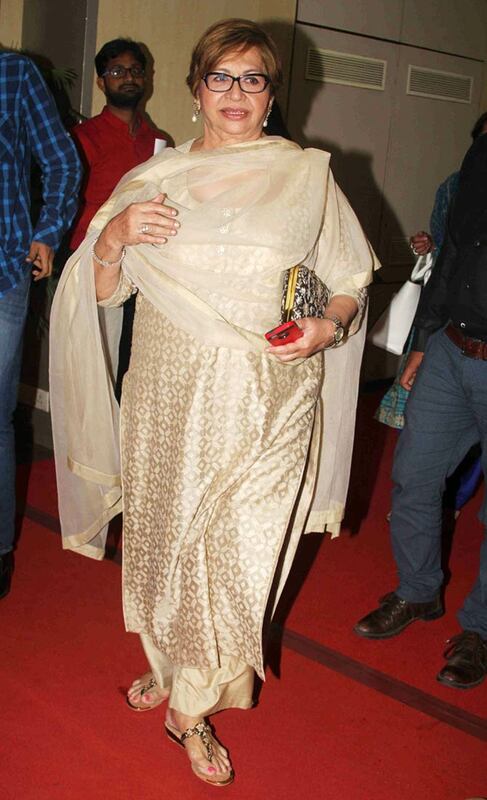 Jaya Prada's songs from Sharaabi, Tohfa and Sanjog were sung by Asha. Dimple Kapadia starred in Lata Mangeshkar's production Lekin, which boasted of some great music. Asha sang the song Jhoothe Naina Bole from the film. 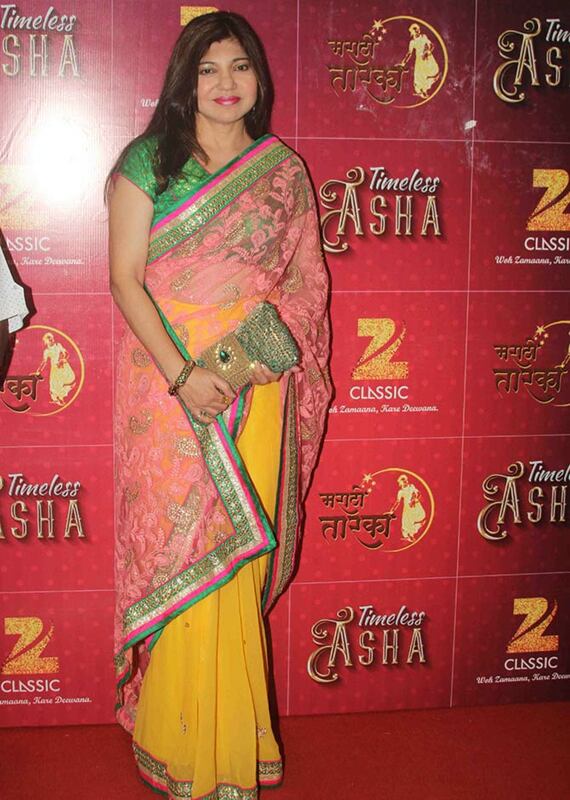 Urmila Matongkar was one of the performers at the event. 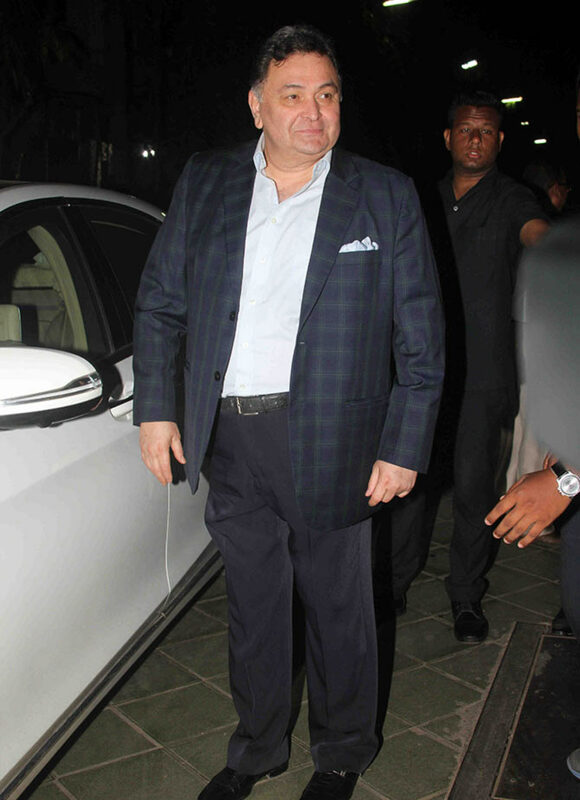 Rishi Kapoor arrived to wish his favourite singer. 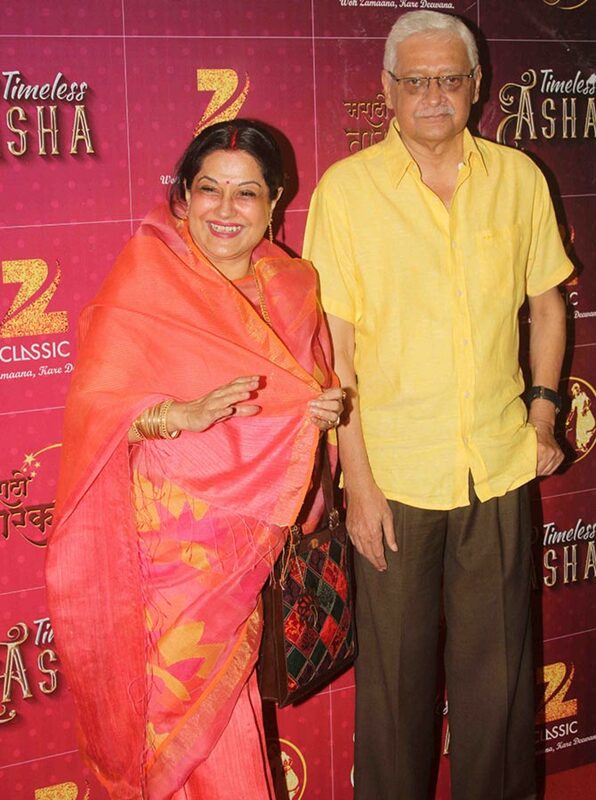 Moushumi Chatterjee, who says she was always a superstar, arrives with husband Jayant Mukherjee. 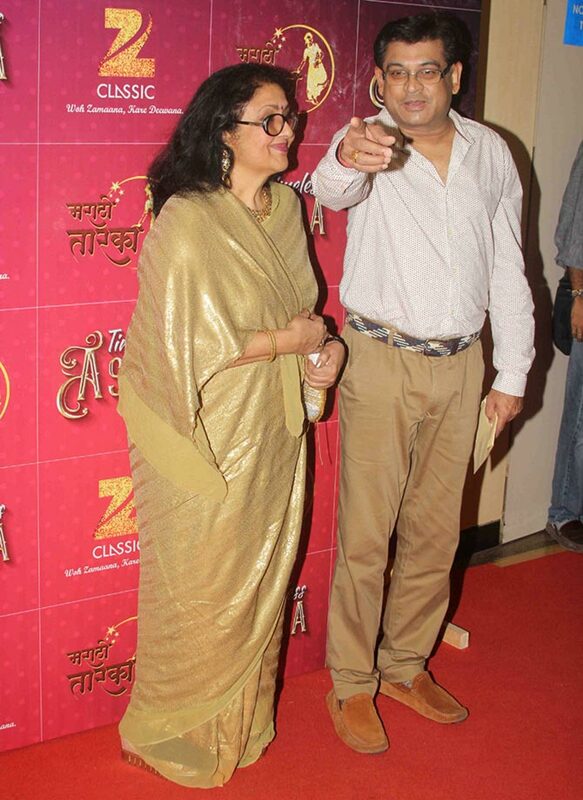 Kishore Kumar's wife Leena Chandavarkar and his son Amit Kumar. 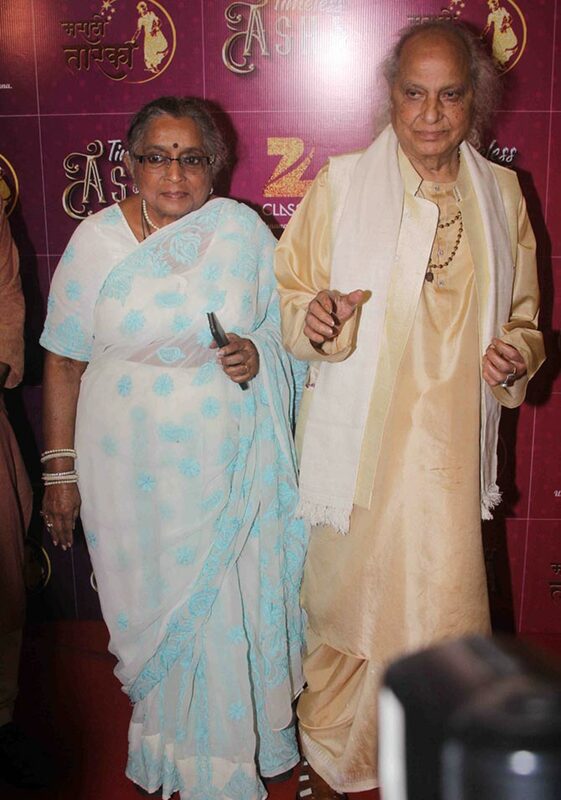 Pandit Jasraj arrives with wife Madhura. 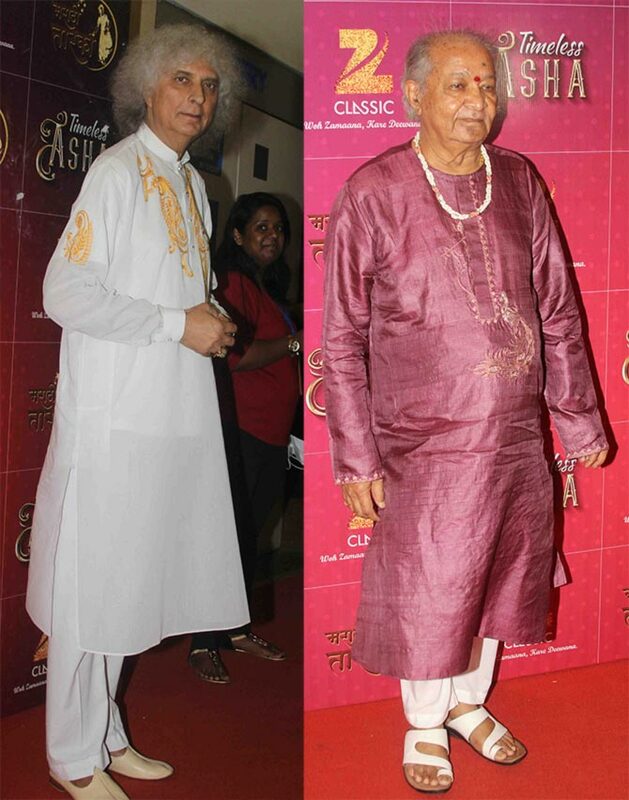 Timeless legends Pandit Shivkumar Sharma and Pandit Hariprasad Chaurasia. 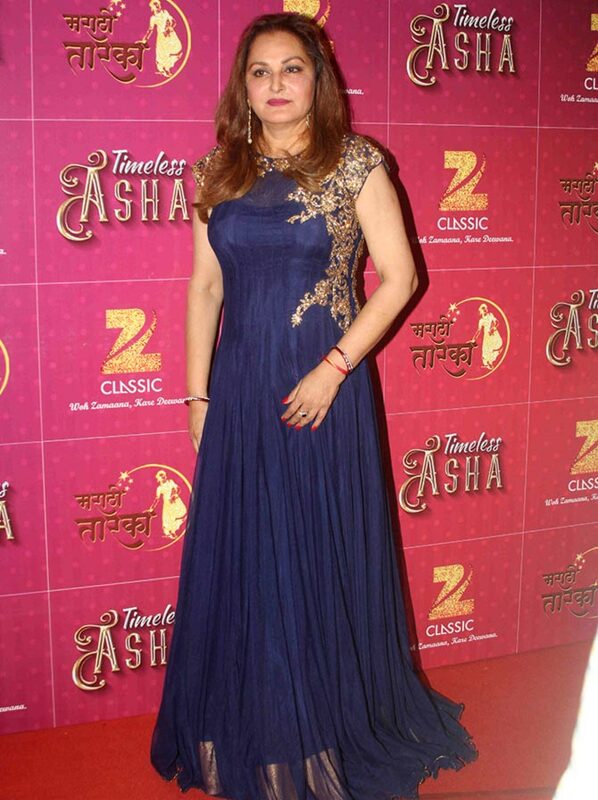 Alka Yagnik has sung many duets with Asha Bhosle. 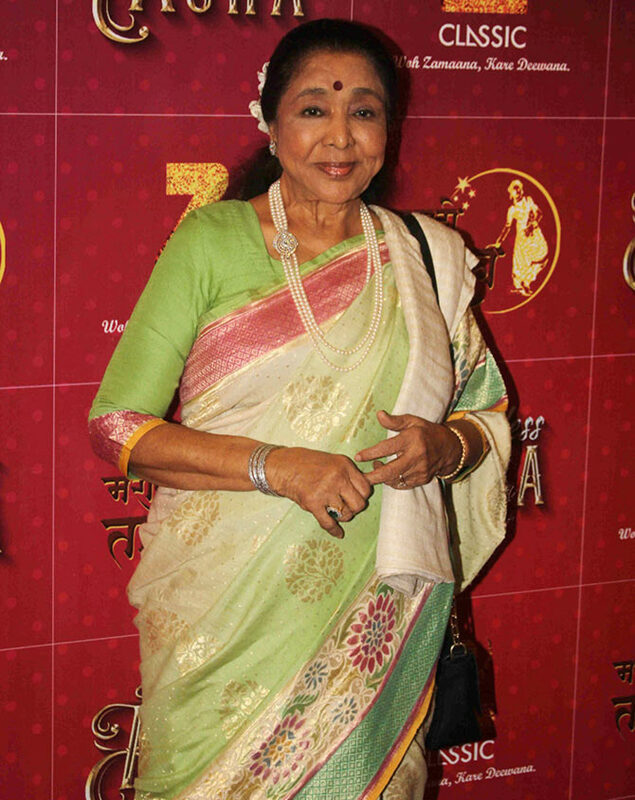 Asha Bhosle had mentored Monali Thakur at the Sa Re Ga Ma Pa Li'l Champs Season 5. 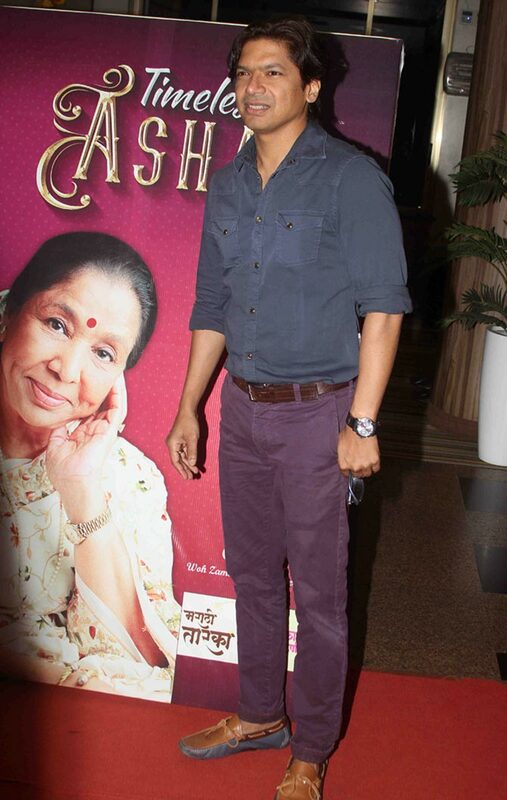 Shaan has sung songs from Yaadein and Saathiya with Asha Bhosle. Udit Narayan has probably sung the most songs with Asha Bhosle. Like Radha Kaise Na Jale from Lagaan? 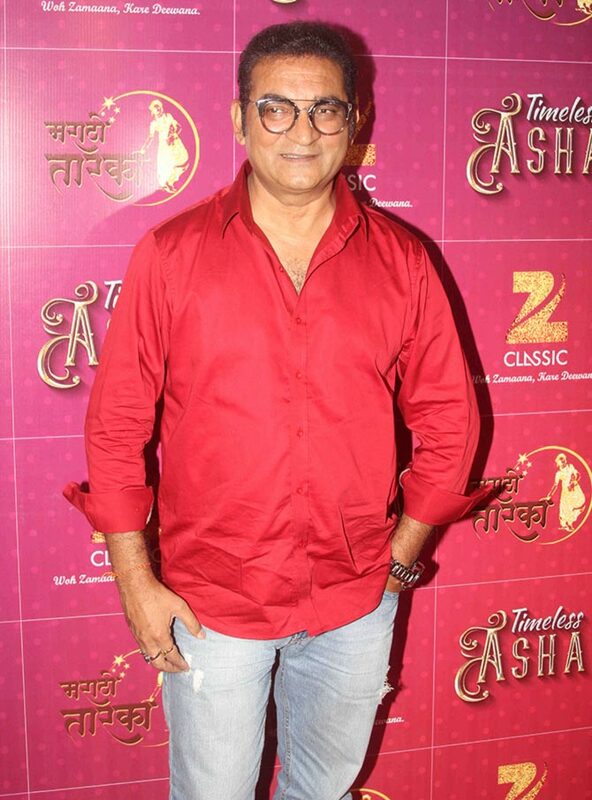 Singer Abhijeet has sung the hit song like Zara Sa Jhoom Loon Main from Dilwale Dulhaniya Le Jayenge with Asha. 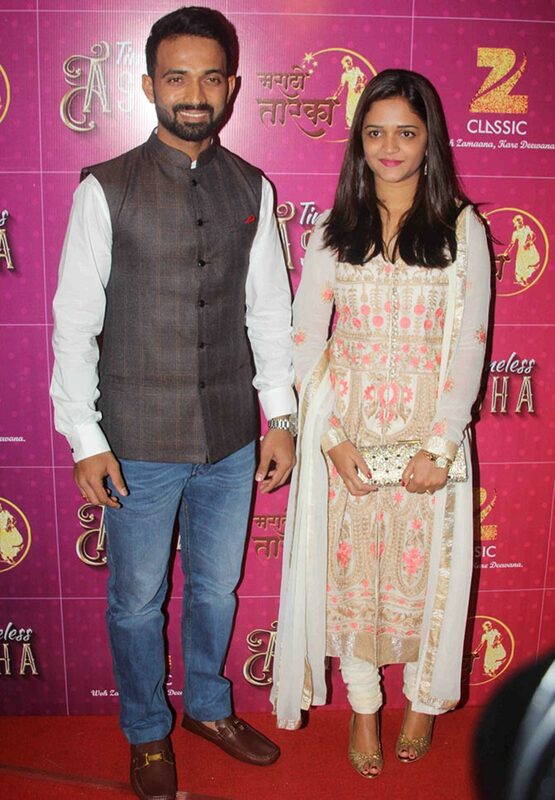 Cricketer Ajinkya Rahane with wife Radhika Dhopvka. 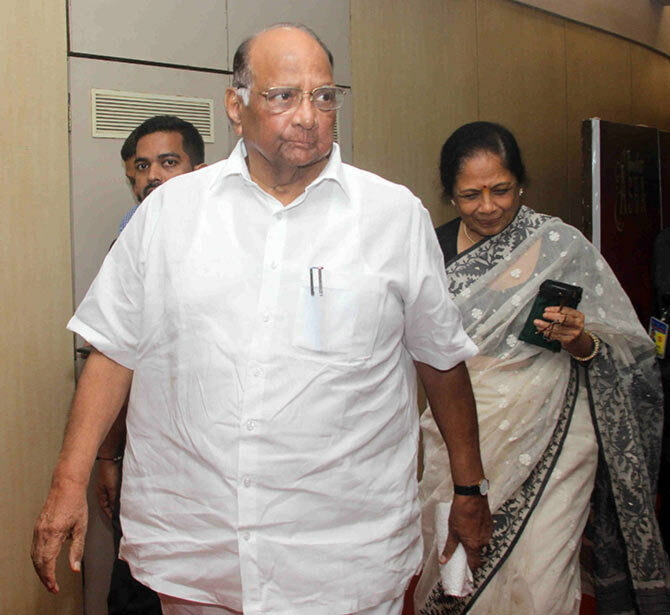 Member of Parliament of Rajya Sabha for Maharashtra Sharad Pawar with wife Prathibatai. PIX: Nargis Fakhri's GREAT Greek holiday!